We are excited to announce that Nikesh Shukla will be joining our line-up of speakers at Emerging Futures. 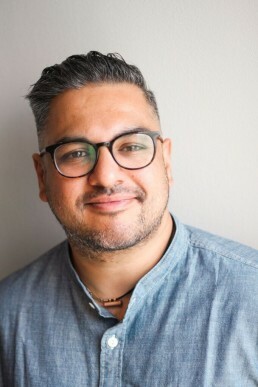 Nikesh Shukla was shortlisted for a Costa First Novel Award, won a Best Novella Saboteur Award, and has had his work lauded by New Statesman, BBC Radio 4, the Independent on Sunday, and the Daily Mail, among many others. As well as writing three novels for adults, Shukla has recently published his first YA thriller Run Riot (Hodder’s Children Books). 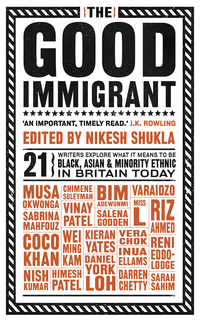 He edited the best-selling The Good Immigrant, an anthology of essays examining race, identity and immigration by 21 authors. It also leapfrogged over Harry Potter to be crowned Britain’s favourite book in 2016. It was crowdfunded into publication, including a £5000 pledge from J.K. Rowling. A US-centric version is currently in the works with Dialogue Books. The success of The Good Immigrant has spurred on two more big projects for Shukla. First, he created and edits The Good Journal, a literary journal focused on writers of colour. Secondly, he co-founded with Julia Kingsford The Good Literary Agency, a social enterprise literary agency focusing on under-represented voices. 5. Did we mention he’s funny? And he writes a beautiful column about fatherhood, culture and the everyday for Observer Magazine – check it out now!